We accept cheque, cash, credit/debit card or bank transfer. You can also pay via our website. All draft or money orders shall be made payable to Polar Bear Windows Ltd. Manage your home improvements the smart way by spreading the cost with flexible payment options. Flexible repayment – pay the minimum amount payable each month, plus you can make additional payments as and when you choose. Meaning You can pay off your loan quicker at no extra charge. Please mention if you are interested in flexible payments with your initial enquiry. Purchase price £7500. Total repayment £8,501.40. Deposit (10%) £750. Duration of agreement 60 months. Amount of credit £6750. Rate of interest (fixed) 9.9% pa. 60 monthly payments £141.69 APR representative 9.9%. Purchase price £3000. Total repayment £2700. Deposit (10%) £300. Duration of agreement 24 months. Amount of credit £2700. Rate of interest (fixed) 0% pa. 24 monthly payments £112.50. APR representative	0%. Purchase price £7500. Loan after deferred period £7362. Deposit (10%) £750. 60 monthly payments at £154.61. Amount of credit £6750. Interest £1914.85. Rate of interest (fixed) 9.5% pa. Total repayment £9276.49. Deferred period 12 months. Duration of agreement 72 months. Credit is subject to age and status and is available to UK residents with a bank account in the UK aged 18 and over who have not been declared bankrupt or had a CCJ or an IVA within the last 6 years. Applications are subject to affordability, application, status and lending criteria. Vendigo’s lenders will do a credit assessment of your circumstances when you apply. Polar Bear Windows Limited is a trading name of Polar Bear Windows Ltd and is registered in England and Wales No 7253119 VAT Number 992360008, Trading address is Jarretts Garden Centre, The Park, Willsbridge, Bristol BS30 6EE. Polar Bear Windows Limited acts as a credit broker and offers credit products from a panel of lenders. Polar Bear Windows Limited is authorised and regulated by the Financial Conduct Authority. Our registered number is 740955. 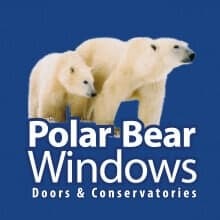 Polar Bear Windows Ltd is a credit broker and not a lender.